Are you looking to become a better drone photographer? Looking for Tips on how to get the best aerial photos with your new drone? Here is my recommendation for the best 3 drones for aerial photographers in 2018. Here are some books to get you started with drone photography. 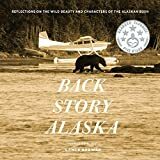 Publisher: Back Story Alaska, Inc.